Home / POLITICS / IS FAYOSE SEARCHING FOR ‘THIRD TERM’? 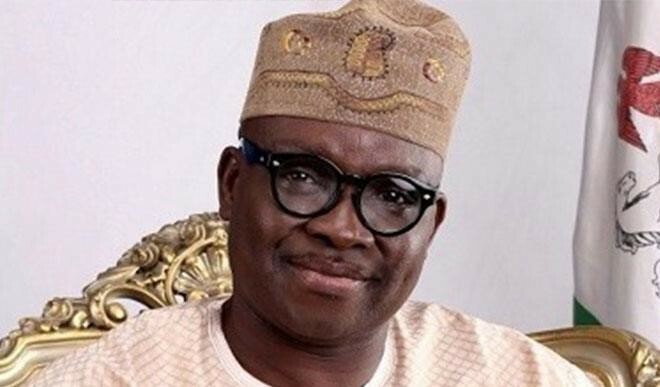 IS FAYOSE SEARCHING FOR ‘THIRD TERM’? While addressing workers during the last May Day in Ado Ekiti, Ekiti state capital, Governor Ayodele Fayose had told agitated workers and other people who cared to listen that he would never seek any political office again. Prior this declaration, there was insinuation that Fayose was eyeing either the vice presidential or senatorial position in 2019. 2006 by the state House of Assembly. He said since the Supreme Court had ruled that his impeachment on October 16, 2016 was illegal, null and void, he reserved the constitutional right to so contest the removal. The apex court had in its judgment ruled that his tenure was illegally truncated. Fayose said the pertinent question to ask the court is whether by virtue of an earlier judgement in his favour, dismissing his removal, he had no right to seek to complete his remaining tenure of seven months. He emphasised that the case as to whether he was entitled to complete his tenure or not must first be determined before there could be another governorship election in the state next year. The governor was sworn in for the first term tenure in May, 2003, but got his tenure terminated by impeachment on Oct. 16, 2006. He came back in October 2014, for a second term after defeating the incumbent governor, Dr. Kayode Fayemi of the APC. Since the governor had served in the office before in that capacity, nobody had dreamt of he coming out with what many considered as a third term agenda which has no place in the nation’s constitution. The governor, who is the chairman of the PDP Governors Forum, had at different forum asked the people of the state to pray for him to be able to bequeath a good successor to the state. Fayose, who is fondly called ‘Oshokomole’ by his admirers in the state and beyond, no doubt is popular among the downtrodden in the state and could be considered as a grassroots politician. Not to be caught unawares, following the division in the PDP and its possible consequences, the governor had recently formed a new political group called Oshoko Mass Movement, mainly made up of his loyalists, political leaders in and outside the PDP, launched in Ikere Ekiti to start registration of members in the South Senatorial District ahead of the 2018 governorship election in the state. 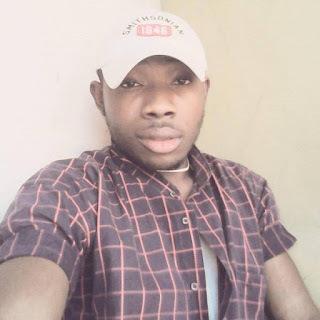 It was believed that the launch of the political movement, attended by members of the Ekiti State House of Assembly, local government chairmen, political appointees, youths as well as members of the PDP, might be an exit plan by the governor from the PDP to a new political party. But the Director of Media and Publicity of the movement, who is also a member of the state assembly, Mr. Adedayo Akinleye, said this should not be mistaken as an exit plan for Fayose. Fayose has since denied the speculation. It would be recalled that the governor indicated that he might use another political platform to prosecute his succession battle during the 2018 governorship poll in the state. Aside the formation of the movement, Fayose’s supporters have produced with posters, bearing his portrait pictures and the message ‘Ekiti 2018 Continuity ...Fayose leads, we follow.” The poster is, however, without the name of a political party or any logo ahead of the 2018 governorship election in the state. There are also branded vehicles bearing same messages. At a meeting in Ikere Ekiti sometimes in January with the members of the Suppliers’ Association of Nigeria, Ikere chapter, the governor had also said that he was yet to settle for any of the political parties registered with the INEC. Faparusi clarified that the Supreme Court in the case of former Governor of Adamawa State, Mr. Murtala Nyako Vs FG ruled that a governor whose tenure was abruptly terminated via illegal impeachment can only be entitled to the perks of office throughout the time there was a vacancy and not tenure elongation. He said, “The governor should have known that he cannot be entitled to third term in office, neither can the oath of office be administered on him three times. What former Governor Nyako wanted to achieve was to finish the remaining nine months of his second term tenure before he was ousted and Supreme Court was so unequivocal that since that dispensation had lapsed, he could only be entitled to the benefits and that has become a functus officio as far as this case is concerned. However, many see the governor’s plan as a way of unsettling and reducing the strength of the opposition, especially the APC, in the state. Whether the governor is serious and determined or whether it is a mere political gimmick, only the Supreme Court can determine the next step.